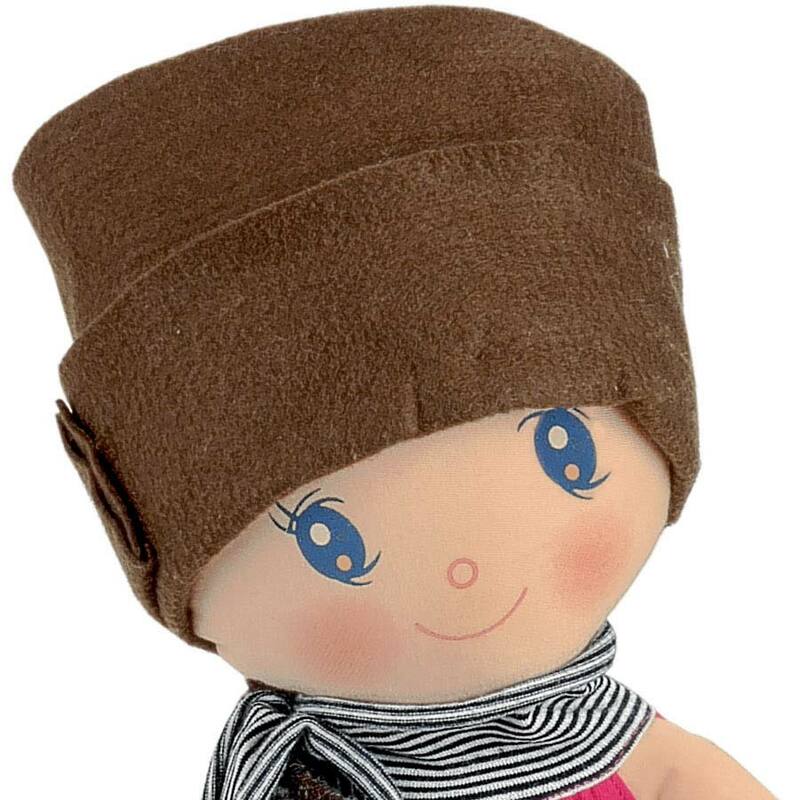 Paula is an original Kaethe Kruse soft cloth doll and she is always looking for adventure so she wears brown shorts and a pink shirt with a cool brown hat and funny shoes. 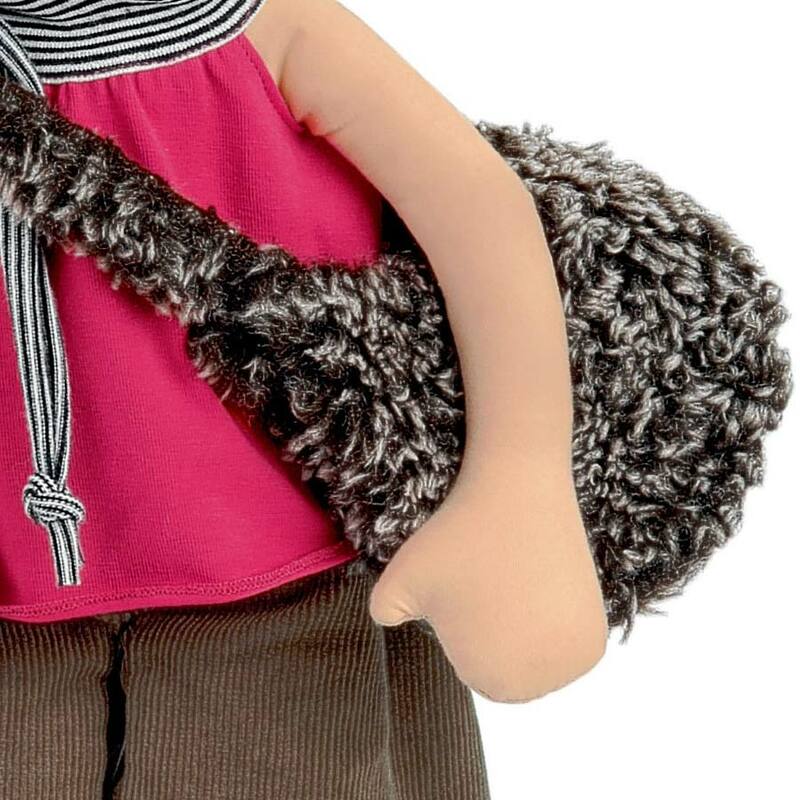 She carries a handy bag for collecting treasures. 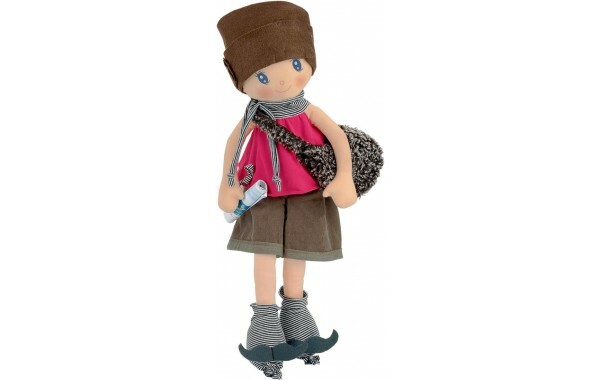 Her whimsical face keeps you smiling and encourages you to invent new places to explore and adventures to take. 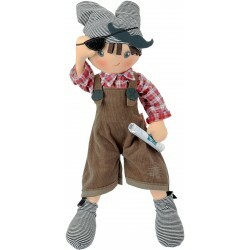 Paula is stuffed with fiberfill, has poseable arms and legs and her clothes are removable. 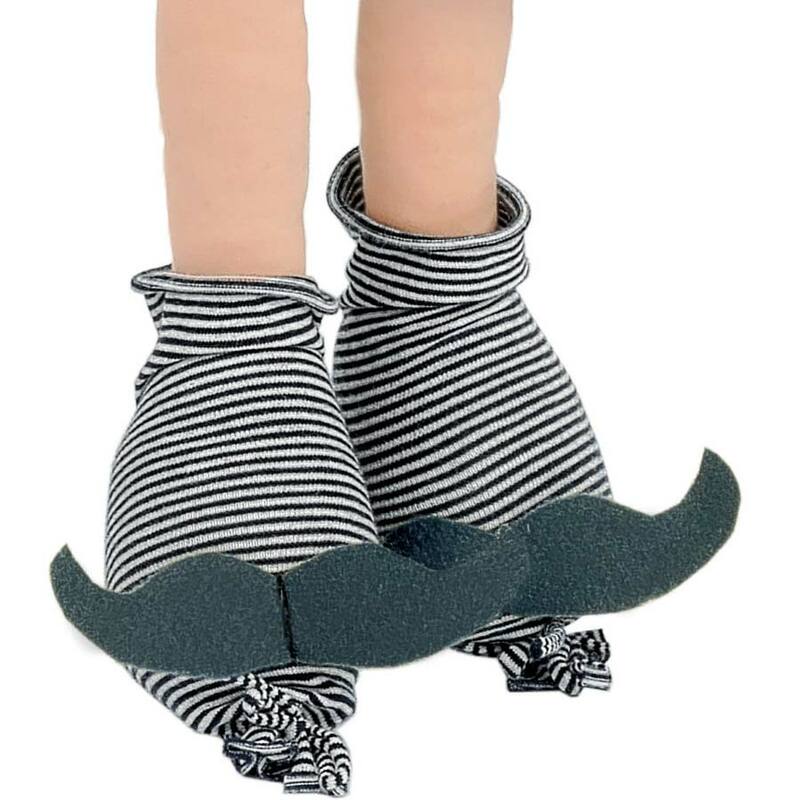 She especially enjoys adventures with her friend Paul.